Between working full time and having a family to feed, making home cooked dinners every night isn't always the most realistic. Thanks to slow cookers, cooking healthy and delicious meals with quick preparation has never been easier. With a variety of unique settings, these 7 slow cookers reign supreme when it comes to tech-savvy features. Whether you're cooking meats, vegetables, soup or yogurts, every kitchen needs a slow cooker. Shop these smart slow cookers below! 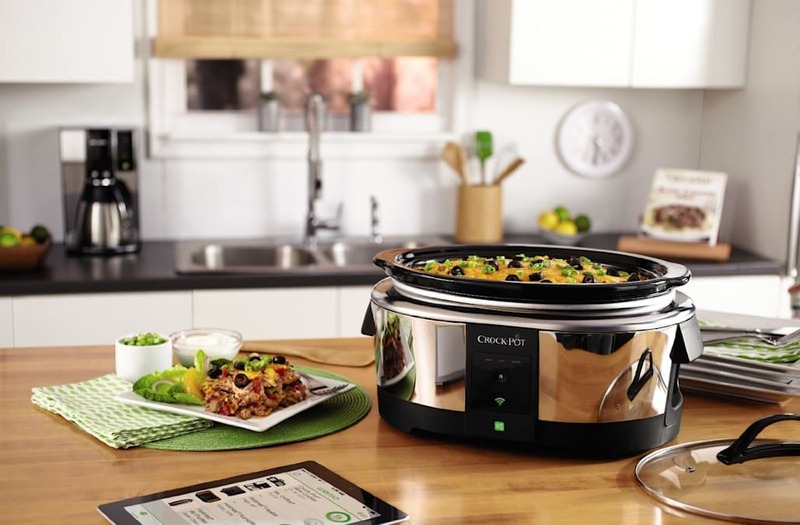 This multi-functional slow cooker can reduce cooking time by up to 70%! Cook everything from vegetables to meats and even yogurt! This easy-to-use slow cooker features a digital timer allowing you to program cook times anywhere from 30 minutes up to 20 hours! This aluminum and lead free slow cooker features everything from a digital steamer and low-temperature yogurt maker! Making home cooked meals has never been easier with this 7-in-1 slow cooker featuring 14 different processor-controlled programs. It also comes with a glass lid and an extra silicone sealing ring for extended lifetime. The sleek design of Midea's slow cooker is the perfect option for your next dinner party! This 7-in-1 cooking pot makes it easy to prepare a variety of meals with manual programming and even includes innovative safety features! With an LED digital control panel, this slow cooker has 3 automatic-cooking options.